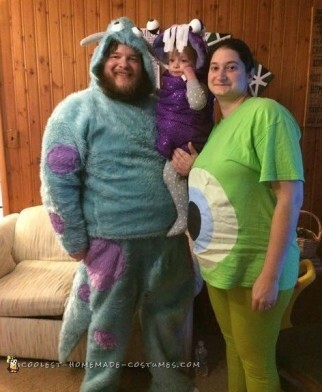 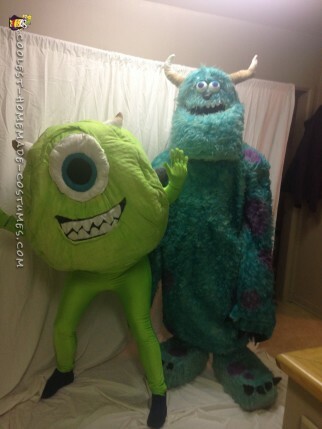 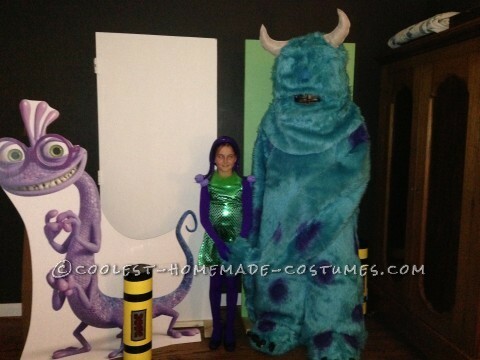 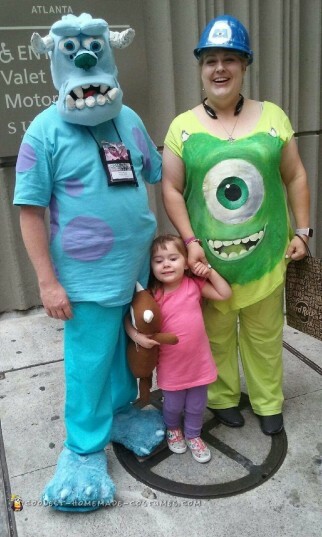 Go behind the closet door with the coolest Monsters Inc costumes. 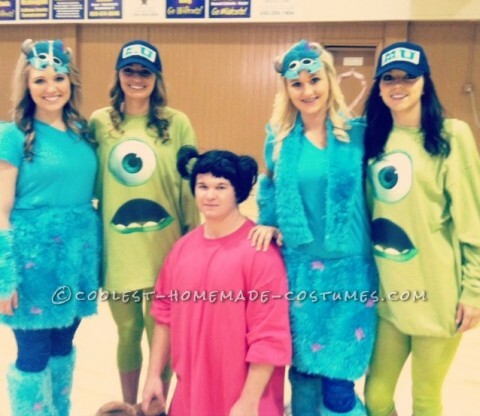 You will seriously be in awe at these incredible homemade costumes! 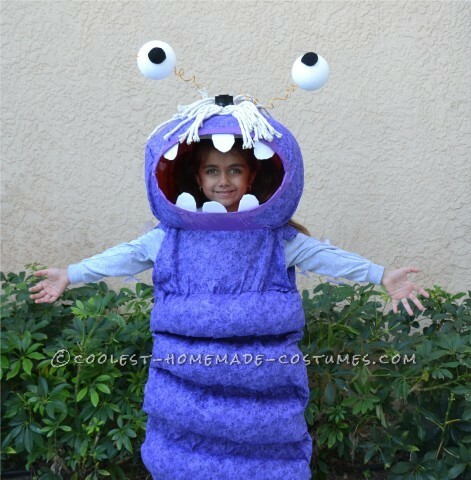 If you are looking for an awesome, crowd-pleasing costume for Halloween, you have come to the right place. 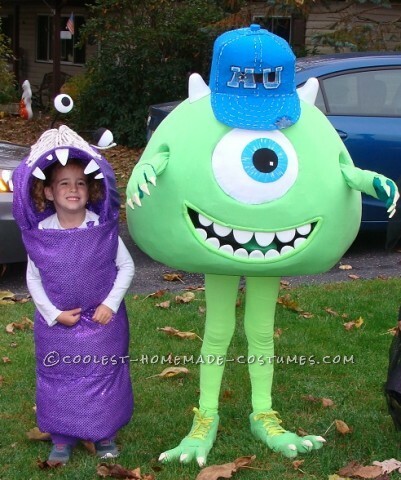 Get costume inspiration from this hilarious movie about lovable monsters. 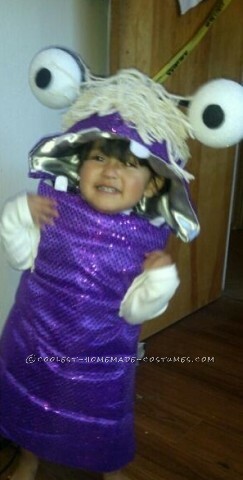 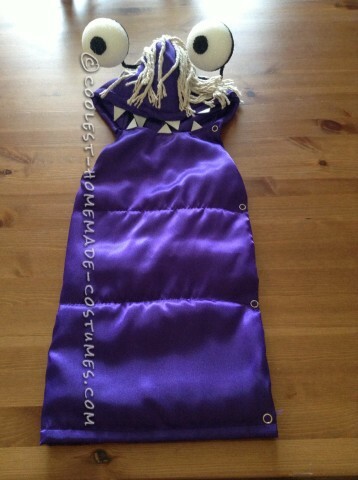 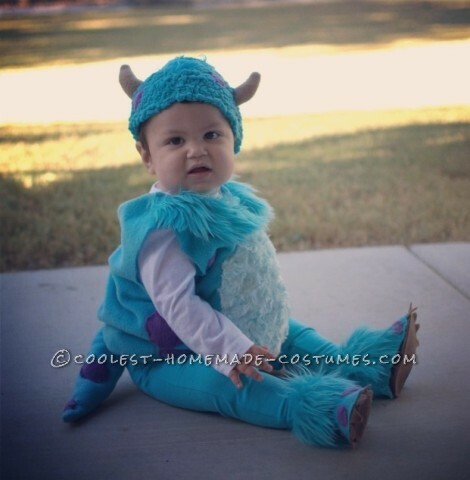 Sew a fuzzy Sully or turn your toddler into a purple costumed Boo. 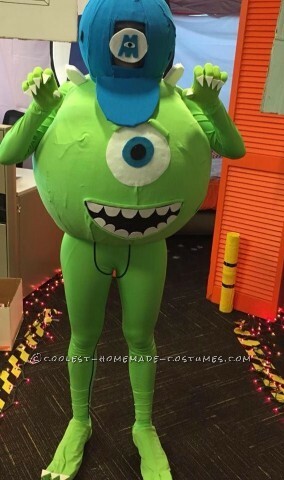 Intimidated by creating a spherical Mike costume? 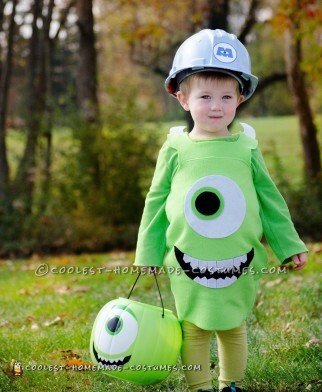 Take a look at the detailed tutorials here. 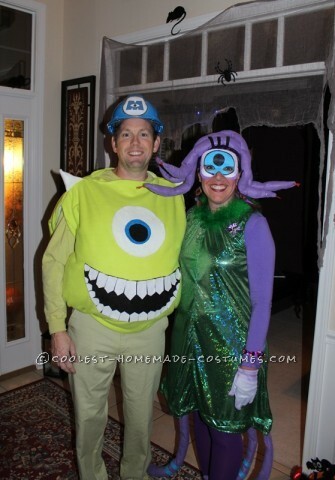 They will walk you through the DIY costume process, even if you have never crafted a costume before. 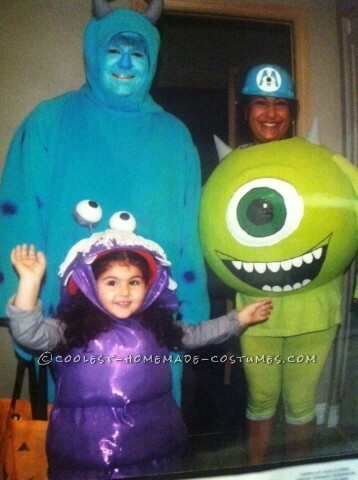 In addition, try a group or family costume using this theme. 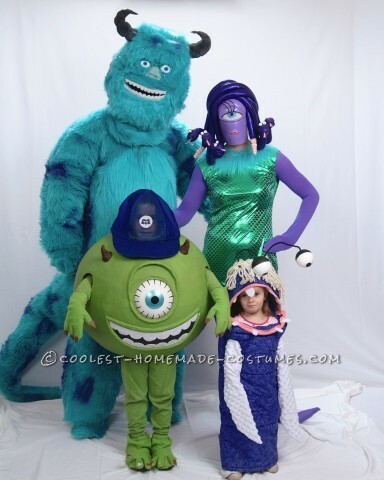 You will see examples here of fun loving families in their amazing homemade costumes. 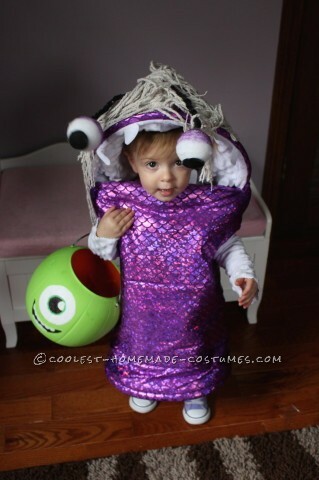 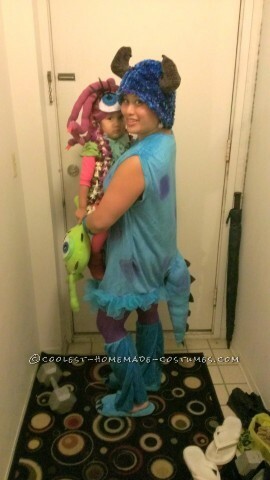 So, dress up as the cutest, most non-scary monsters around with these DIY costumes. 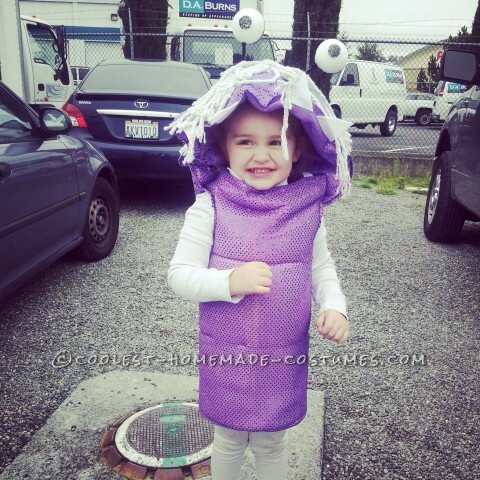 Discover the fantastic tutorials here so you can create your own. 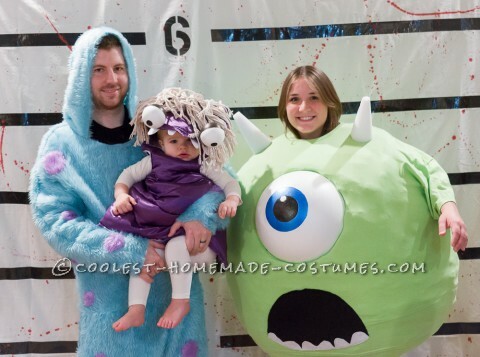 Best Monsters Inc. 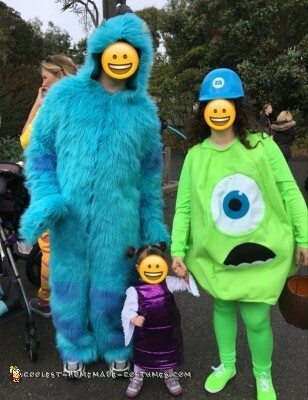 Costumes Ever! 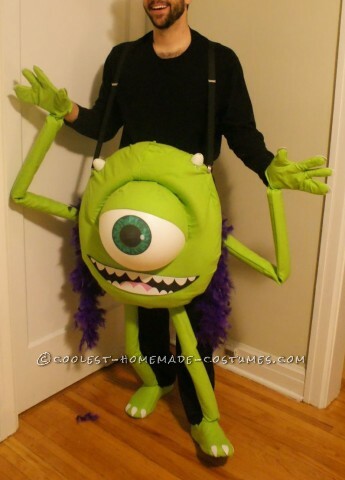 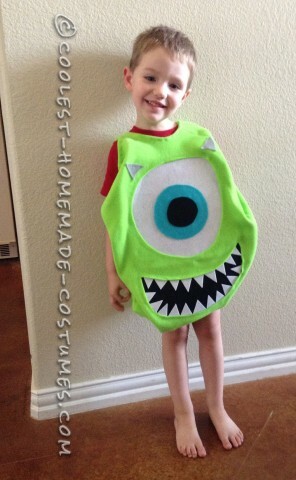 Homemade Mike Wazowski Costume was a Monster Hit!